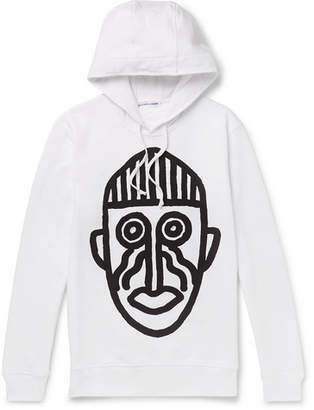 Laid back style with a playful twist is the look at Comme Des Garçons Play. 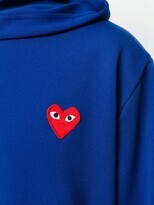 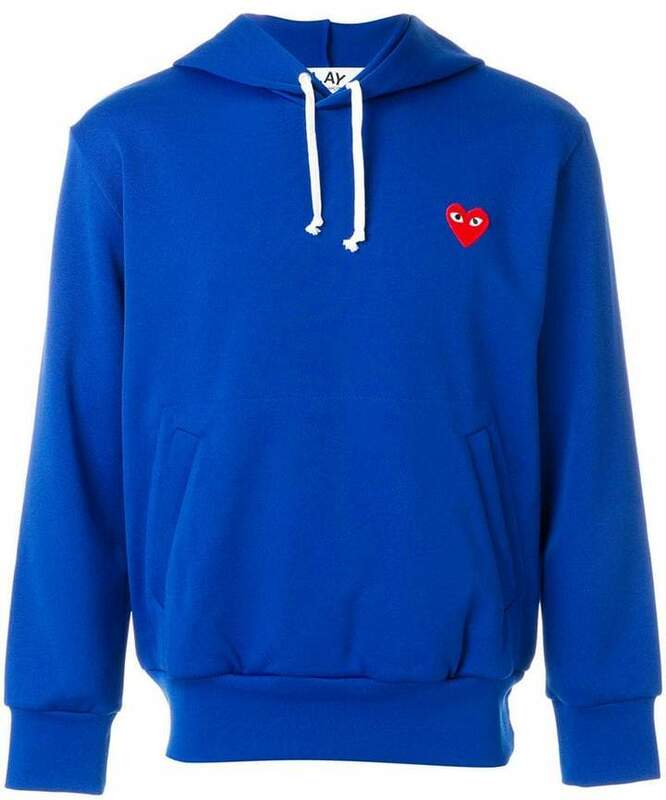 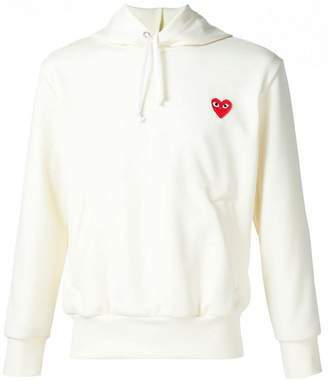 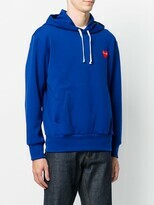 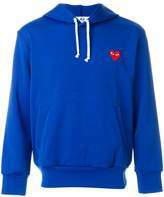 This drawstring sweater is enhanced by the addition of the appliquéd iconic red heart synonymous with the brand, which pleasantly contrasts its navy blue background. 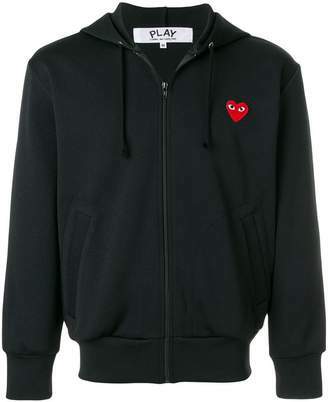 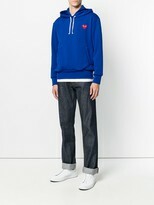 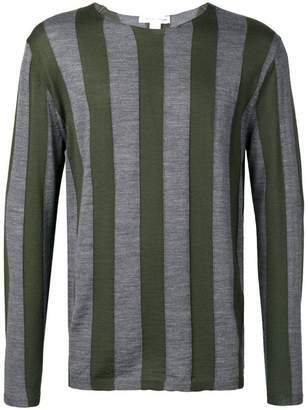 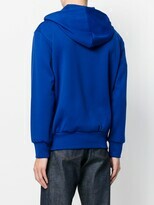 This piece from Comme Des Garçons Play also features long sleeves, a ribbed hem and cuffs and two front pockets.